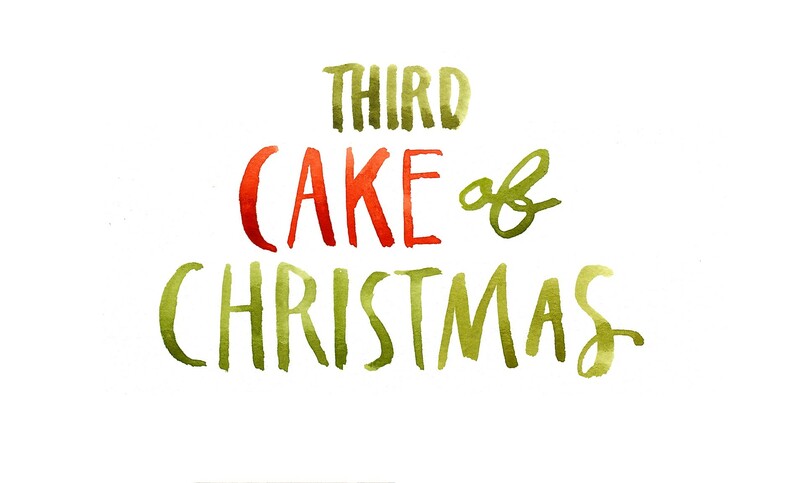 Welcome to the “Twelve Cakes of Christmas,” written by Michelle Rizzolo of Big Sur Bakery with original illustrations from Wendy MacNaughton and Danielle Murray. There’s no shortage of fascinating details to entrance young readers in Harper Lee’s To Kill a Mockingbird. The story is told and the landscape viewed through the eyes of a Southern child, making it easy to buy into the provincial purity she depicts, no matter how old we are. When Scout describes rural parties, we find ourselves relishing—if vicariously—the same crackling bread, fried chicken, and biscuits and butter that she does. We can almost taste and smell them. We want the light-as-a-feather divinity candy and dewberry tarts, and to curse whatever lesser options we have on hand—canned lemonade concentrate and boxed “homemade” cake instead of fresh-squeezed juice and a just-baked from-scratch confection. If only we could have a slice of that Lane cake. Unlike To Kill a Mockingbird, the Lane is no work of fiction. It’s a white cake that relies on egg whites for its fluffy texture, and it’s layered with a yolk-based stove-top cream full of pecans, coconut, and raisins, and heavily doused with bourbon. 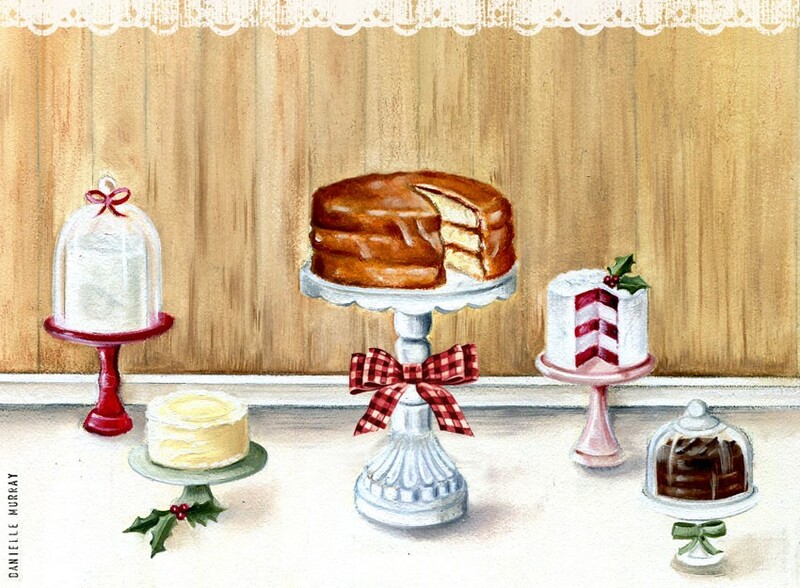 The original recipe, by Emma Rylander Lane of Clayton, Alabama, requires one to three cups of bourbon for a single cake! Immortalized in a famous work of fiction, the Lane might seem like a one-off phenomenon, captured by chance, but it’s one of many traditional Southern cakes. On any special occasion below the Mason-Dixon line, there’s sure to be a towering, frosted darling mounted on a stand, waiting to be cut. Christmas is no exception; in fact, that’s when things get most intense. Come Yuletide down South, coconut, red velvet, and caramel cakes grace tables alongside more humble pound cakes and pecan fruitcakes. Charming like Southern accents, dreamy, and inviting, these layer cakes are grand, over-the-top concoctions, sweet and glamorous, with points awarded for height; in Alabama they can get up to fifteen tiers. From the coconut cake’s billowy white icing flecked with freshly grated, sweet coconut to the striking crimson red-velvet cake juxtaposed with tangy ivory cream-cheese frosting, there’s no shortage of drama on display—and we haven’t even arrived at the main attraction. Enter the caramel cake, its richly yolked, buttery layers glazed in a slightly grainy pralinelike caramel-fudge icing. 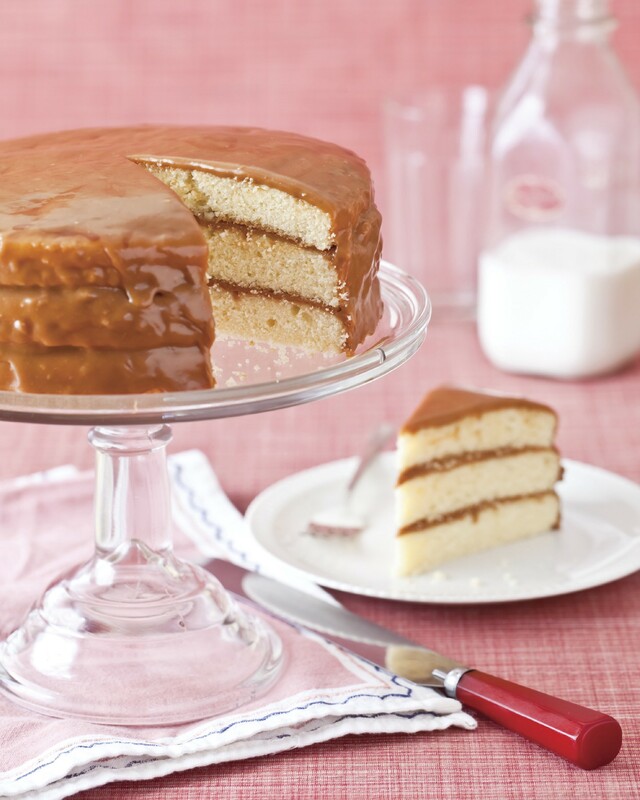 As exemplified by Willis’s version, a great Southern caramel cake is moist, tight, and sturdy from a good amount of butter. Butter cake recipes are straightforward and subject to slightly different interpretations; the more experienced the baker, the better the crumb. There are fine points to even the simplest recipes, but all must start with the best available butter, at room temperature. Cream it light with sugar, dissolving the granules and aerating the mixture; this process lightens the cake and creates the desired crumb. Then, slowly add room-temperature eggs, one at a time, making sure the ingredients emulsify. Fold in sifted flour, your leavening agent, and salt in parts, alternating those dry components with the addition of milk. This is where gentle hands are useful: mix it all together until a smooth batter is formed, but not a moment longer. Finally, bake the cake until it just sets. The thinnest layer of caramel in the center allows for a perfect ratio of cake to icing, which, when set, must be a warm brown hue, and shiny like candy. Although the formula for the springy baked cushions is easy enough, eyes have welled up over that chalky boiled tawny glaze. Even Willis describes hers as a bear, the secrets to which include “holding your tongue right and practice.” And a strong arm—her grandma employed her gigantic grandpa to beat this icing by hand. She believes traditional cakes should be treasured. “They’re part of the history of Southern cooking,” she says, “a last vestige of home baking that is still homemade. Have you ever noticed in the grocery store that it’s not the Flour and Sugar aisle? It’s the Cake Mix and Sugar aisle? When I first saw that, a piece of me was very sad. I grew up with homemade cakes and intend to share them and pass them on so that future generations will as well. Preheat the oven to 350°F. Butter and flour three 9-inch round cake pans and line the bottoms with waxed or parchment paper. Butter and flour the paper. Sift together the flour and the baking powder. In the bowl of a heavy-duty mixer fitted with the paddle attachment, cream the butter and sugar on medium speed until light and fluffy, about 3 minutes. Add the flour mixture to the butter-sugar mixture, alternating between the dry and wet ingredients in three portions, starting and ending with the dry ingredients. Pour into the prepared pans. To assemble the cake, place one cake layer on a cardboard cake round. Spread with the still-warm frosting. Repeat with remaining layers, placing the final layer bottom side up. Working quickly, use a small offset spatula to spread the icing gently around the cake. Let stand for 2 hours to allow the icing to set before serving. Store in an airtight container for up to 1 week. In a heavy cast-iron skillet, heat 1/2 cup of the sugar over medium-high heat. Stir until dissolved, then do not stir again; simply shake the pan occasionally until the mixture reaches the caramel stage 320°F to 335°F on a candy thermometer. Meanwhile, in a heavy saucepan, combine the remaining 2 cups sugar, the butter, and the cream Bring to a boil, stirring occasionally. When the sugar reaches the caramel stage, immediately pour it into the cream mixture and stir to combine. Cook over medium heat, stirring once or twice, until the mixture reaches the soft-ball stage, 232°F to 240°F. Remove from the heat; add the vanilla and salt and stir to combine. Place on a rack and set aside until just cool enough to touch, 10 to 15 minutes. Transfer the mixture to the bowl of a heavy-duty mixer fitted with the whisk attachment. Beat on high speed until creamy, 5 to 7 minutes. A couple of helpful hints: when you are ready to frost the cake, place the bowl of icing in a bowl of warm water to keep it loose and fluid. Also, if it starts to set too firmly, you may need to add warm heavy cream to loosen it. Our wood-fired bakery features hearth-baked breads and pastries made by hand daily on the Big Sur coast.